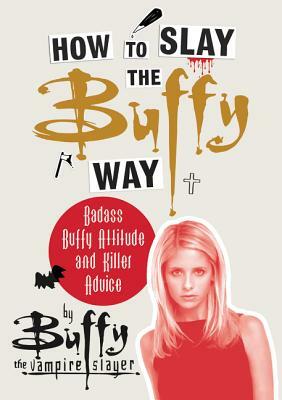 Empowering, inspiring and full of attitude, a full-color collection of the best lines and iconic scenes from the hit cult television series Buffy the Vampire Slayer. Vampires, demons, forces of darkness, superpowers, mean girls, young love, homework, death. Over the course of seven seasons, Buffy, the teenaged heroine of Buffy the Vampire Slayer, faced these daunting challenges and more with badass courage and aplomb. Filled with supernatural drama, action, and humor, the iconic television series hooked viewers in the 1990s, and, twenty years later, still reigns supreme as “the Best Superhero Show” (GQ). But Buffy the Vampire Slayer was more than just an entertaining TV series. Its depiction of a relatable young woman armed with fearsome power, burdened by expectations, and locked in a battle to save the world from monsters that slyly mirrored universal problems—loneliness, oppression, rules, social norms—transformed it into a cultural phenomenon.